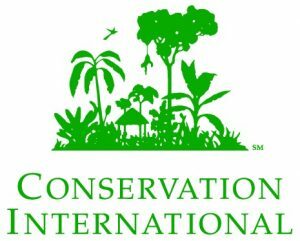 The United States-headquartered environmental organisation, Conservation International (CI), on Friday assured that although it took a US$10 million grant from ExxonMobil Foundation for capacity building in oil-rich Guyana, its independence was still intact. “As a science-based organization in a unique position to help Guyana achieve its green development goals, Conservation International determined that this effort will achieve its goals while also maintaining our absolute independence,” CI spokeswoman, Salma Bahramy said in response to several questions by Demerara Waves Online News. “Our agreement includes language reinforcing our independence from Exxon Mobil and objectivity on its operations,” she added. She added that the deal with ExxonMobil Foundation that would see collaboration with the University of Guyana was crucial to the South American country’s development. “As long-time partners of Guyana’s commitment to its people and ecosystems, Conservation International is confident this is a necessary step at this critical time in Guyana’s development,” the CI official said. She did not say what is the exit mechanism if ExxonMobil decides to pressure CI into remaining quiet on an environmental matter concerning that company specifically or the oil sector in general in Guyana or globally. 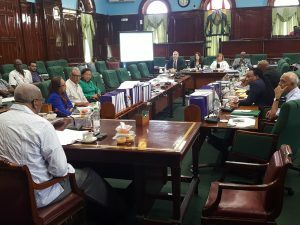 ExxonMobil’s representatives appearing before Guyana’s bipartisan parliamentary committee on natural resources on July 6, 2018. Conservation International has been working in Guyana for over 20 years in over 50 communities to help protect nearly three million acres of indigenous lands while improving livelihoods.